WORLD CUP: ITAQUERÃO STILL FAR FROM READY. – over 30k seats not tested, people got in without tickets and internet cabling for the press not installed!! 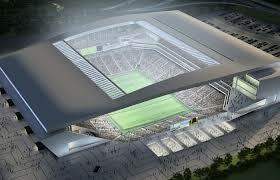 Corinthians drew with Botafogo (RJ) this weekend in what was the second match test of the stadium which will host the opening game between Brazil and Croatia. Although there has been some improvement since the first test match on 18th May, there is still so much to be done that it is hard to believe it will all be ready as it should with only 10 days to go. That’s how it should have looked like!! The surroundings of the stadium are still full of debris, the underground system for mobility did not work properly and there were supporters still outside 20 minutes after the start of the match.There were people selling alcohol against FIFA regulations as the legally registered sellers were offering the non acoholic version. Inside most of the food venues were not open. A Folha de S Paulo’s reporter followed a group of supporters who managed to get through all the blockages and security and were inside the stadium without tickets!! The queues were long and it took over an hour for the newspaper team to get from the tube station to the venue. When asked, Thiago Paz, coordinator of the local organising Committee (COL) said : “The encryption system of World Cup tickets is quite different from Corinthians. We are still testing our turnstiles that were not deployed. Here, the tickets were the Corinthians. ” In other words, the system that would be used for the event itself has not even been tested!!! A Noiva vai atrasar, e quando entrar na igreja, vão descobrir que é um travesti. Foi o quê deu prá fazer prá quebrar o galho.